9/21 – Fast twitch type, athletic with foot speed. 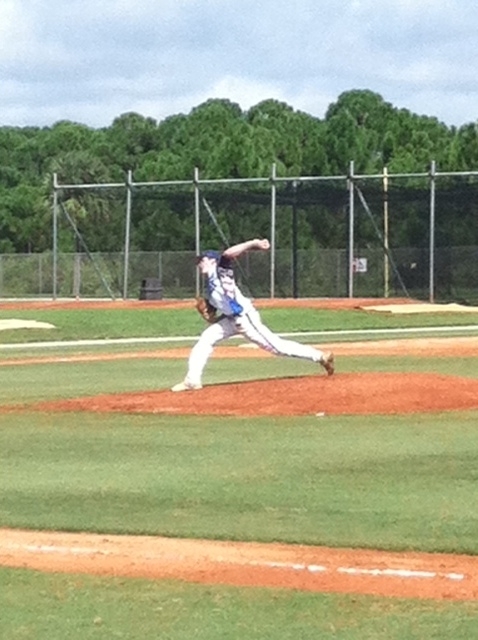 Got good jumps in the OF and showed an above average arm. Featured a line drive stroke with line drive pop. Posted time near 4.0 from the left side of the plate. Committed to Lenior-Rhyne University. 9/21 – Solid build at 6-foot and 200 pounds. Good left handed stroke, got extension thru contact – allowing him to show power to the pull side, and to hit the ball solidly the other way. Soft hands and 1B, picked balls well from the dirt. 9/20 – Athletic body. 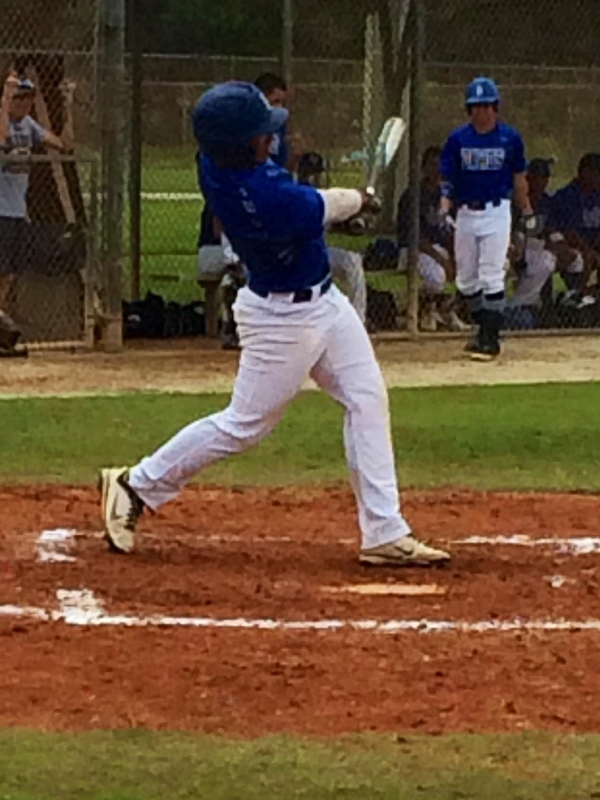 Good contact hitter with ability to square it up, kept barrel working thru the zone well. Good actions at 3B. 9/20 – Solid strong build. Good actions at 1B. Squared it up at the plate. Played with good energy. 9/21 – Big, strong build. Very athletic for his size. Quick hands at the plate, good right handed stroke. Picked several balls in the dirt at 1B, hands work well. 9/21 – Versatile defender in the infield, played every spot but 1B. 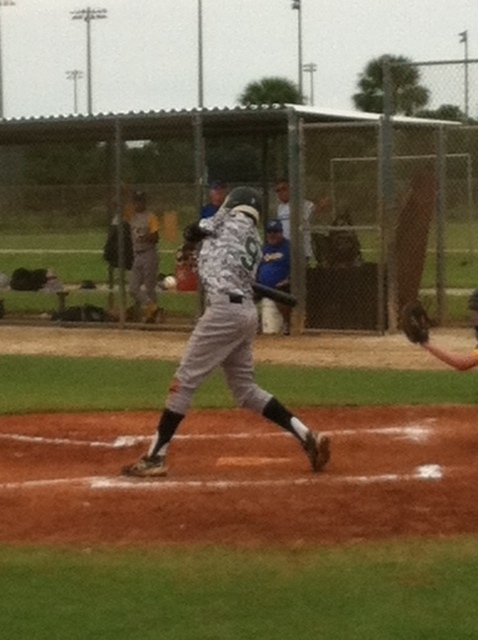 Showed range up the middle from 2B, made several nice plays up the middle from 2B with arm strength to finish. Nice left handed stroke. 9/21 – Long limbed frame at 6-foot-5 and 175 pounds. Fastball worked between 79 and 81, topped at 82 with occasional arm side run. Breaking ball was thrown around 70 with gradual action down and across the zone. Arm worked nearly straight back and thru, without much depth on either side. 9/21 – Athletic frame at 6-foot-1 and 175 pounds. Quick armed right hander, fastball topped at 84 and sat a few mph lower than that. Curve had some definition to shape in the low 70s. Compact arm stroke. 9/21 – Lean athletic frame with some width to shoulders at 6-foot-2 and 180 pounds. 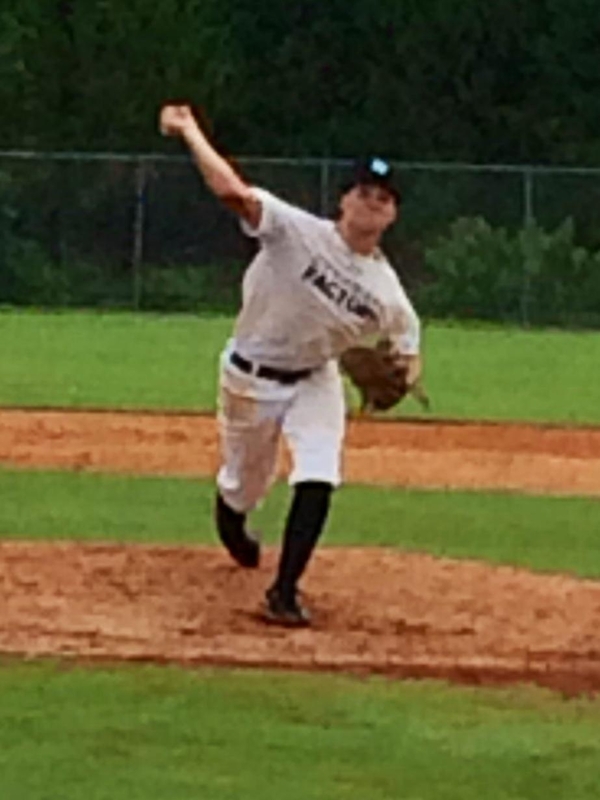 Has advanced feel for pitching, with standout changeup and fastball life. Fastball sat 81-82 with arm side tail, but effectively was much firmer with threat of CH. Showed ability to command FB to both sides of the plate, and appeared to mix between 2-seamer and 4-seamer – with mostly 2-seamers to RHH. Saw breaking ball between innings, didn’t use very much live – worked primarily off FB / CH combo. He turned CH over for diving sink action, left hand on same angle and from same stroke as FB. Repeatable delivery, arm worked with depth from glove and out front. 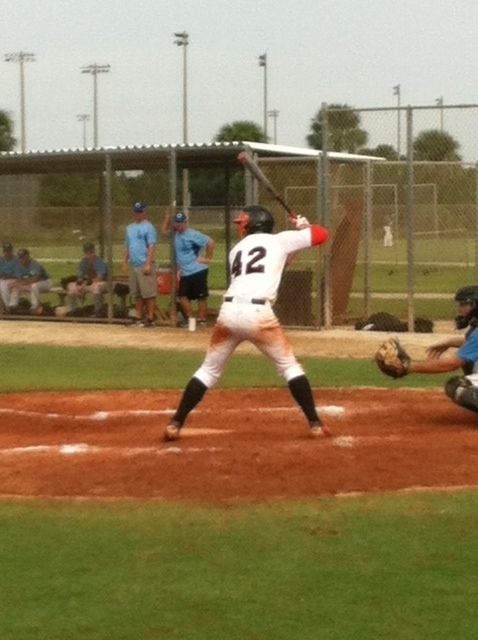 9/21 – Versatile defender, sat well behind the plate and appeared to be solid at 2B as well. Right handed stroke was loose and full following a short, quick move to contact. Has natural hitting actions, and appeared to see the ball well. With advanced RH bat, has potential to fit either C or 2B profile. 9/21 – Extra large frame at 6-foot-6 and 245 pounds, moves well and has defensive versatility to play corner OF as well as 1B. Appears to have advanced feel for hitting, showed a knack for getting the barrel to contact. Right handed stroke is simple and repeatable, allowing him to translate hand-eye coordination into barrel accuracy. 9/21 – Wiry, slender left hander with a quick arm. Fastball topped at 84, sat in low 80s with some cutting action. Breaking ball had slider type action and angle in the mid 70s. 9/21 – Solid strong frame at 5-foot-11 and 195 pounds. Solid defender at 3B with arm strength across the infield. Middle of the order hitter with power to pull side. 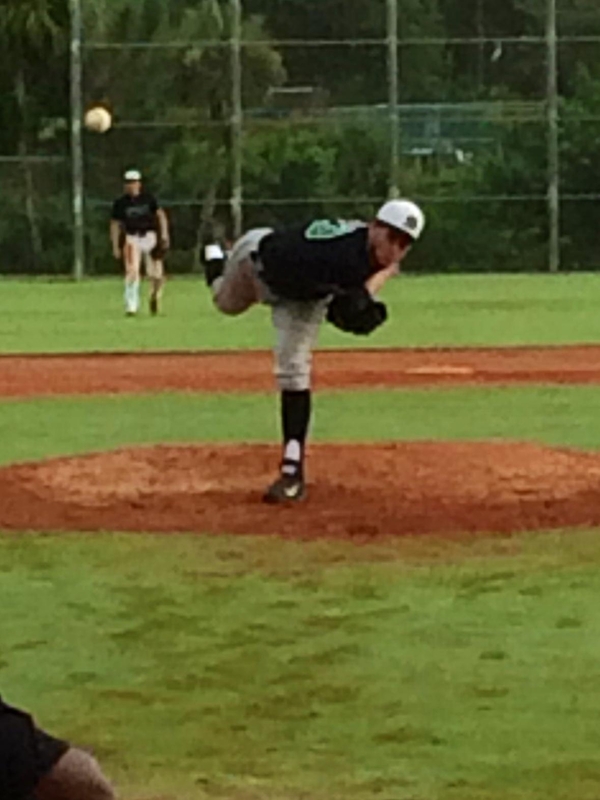 After playing two and half games already, he got on the mound in the third game and ran his fastball up to 84. 9/20 – Fast twitch guy with usable speed. Aggressive on the bases, got good reads off bat in CF. Good actions at the plate, contact type hitter. 9/20 – Talented all around player with usable speed. Appears to be a true switch hitter, in that he takes at bats from both sides of the plate regardless of LHP or RHP. His move is sound from both sides, and he has feel for hitting from both sides. Defensively his actions are solid and he moves like an athlete. For a young player, his combination of natural ability and feel for the game is very rare. 9/20 – Has a long, lean frame at 6-foot-2 and 165 pounds. Though he appears to have some two-way potential, he likely has a higher ceiling on the mound. Once he turns his palm over and begins his arm forward to the plate, it works with looseness and some speed. His delivery is under control and without notable flaws, allowing him to throw strikes with his 78-80 fastball and upper 60s breaking ball. His fastball has some cut action, and his breaking ball shows signs of defined shape. 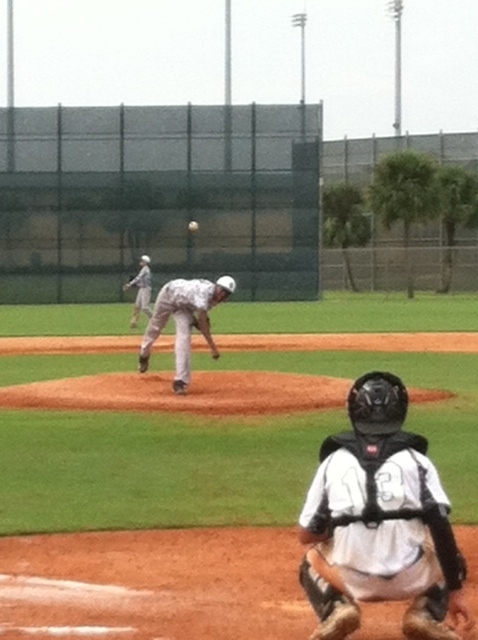 9/20 – Good defensive actions at SS with good arm across the infield. 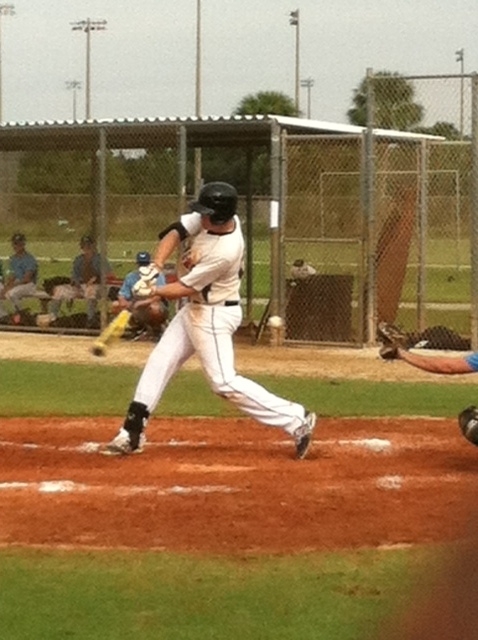 Patient hitting approach with good eye for the strike zone from the left side of the plate. 9/20 – Good balance at the plate, good eye for the strike zone. Generates good torque to deliver barrel to contact, has some whip thru the zone. 9/20 – Solidly built at 6-foot-1 and 180, Garmendia has a pretty left handed stroke. He features rhythm to hit and long with hand-eye coordination to allow for barrel accuracy. Appears best suited for a corner OF profile. 9/20 – With square shoulders and a high waist, Carnicella appears bigger than his 6-foot 170 pound frame. He is a switch hitter that appeared to calmly track pitches from both sides of the plate. His defensive actions were solid, and overall he gives the feel of a “baseball player” type with a good feel for the game. 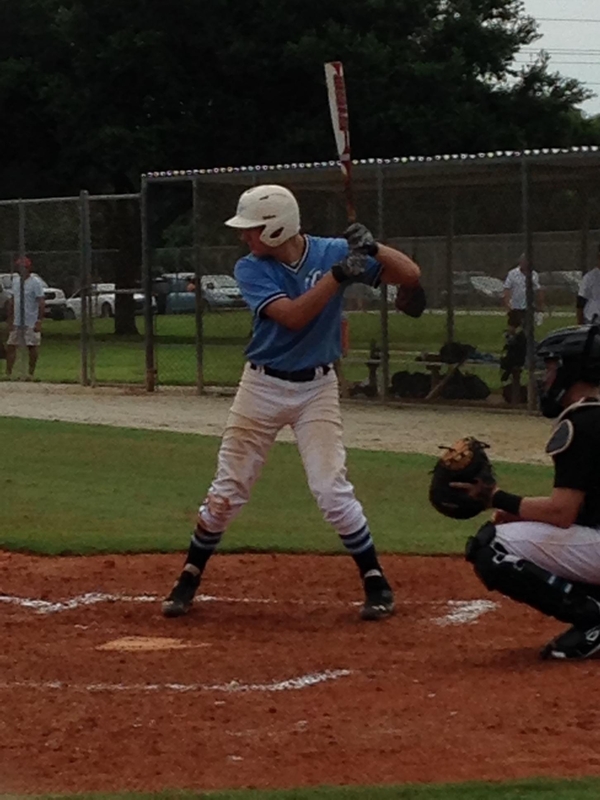 9/21 – Showed a loose right handed stroke with quick hands and the ability to whip the barrel thru the zone. Made hard contact on numerous occasions, including a deep drive the other way over the head of the RF. 9/20 – Fast twitch athlete with present strength. Power to oppo field gap, ball gets off his bat with great life. Good actions in OF. Good runner with short, quick strides. 9/20 – High waisted build with long limbs. 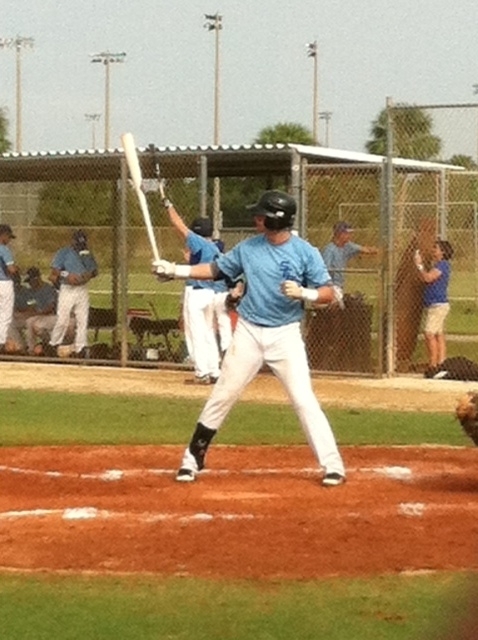 Good contact hitter, solid stroke from both sides of the plate. Balanced offensive approach. Good actions at SS with an accurate arm. 9/20 – Fastball up to 82, showed feel for a change and flashed low 70s curve with 11-5 shape. 9/20 – Arenas is a talented all around player with exciting offensive ability. 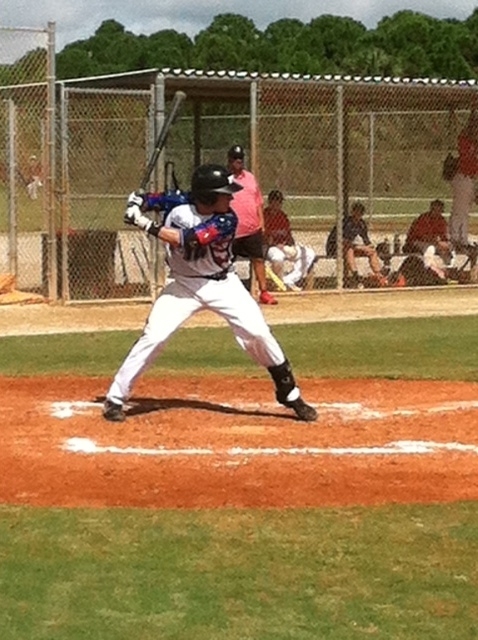 His right handed stroke is short and extra quick to contact, he can whistle the bat thru the zone with standout life. He recognized spin and showed plate discipline, offering proof that he can translate his natural hitting ability into production. Defensively, his actions were easy and natural, and he spun the ball across the infield very well – the ball left his hand with life. 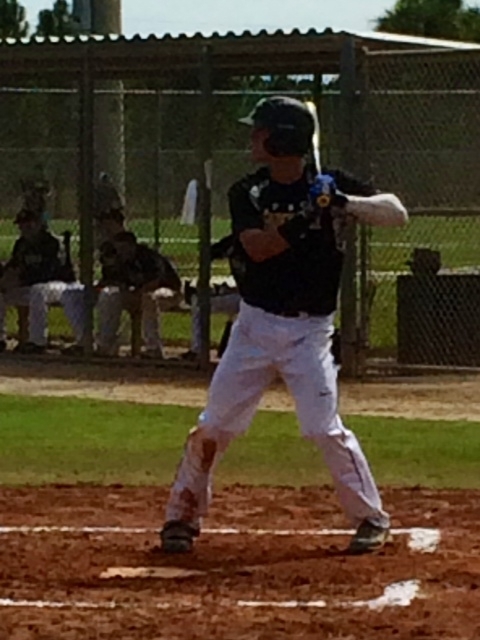 9/20 – Large framed left handed hitter at 6-foot-3 and 200 pounds. He appears to combine some feel for hitting with raw power, giving him a good chance to produce for power with some frequency. He drove a one-hop double off the right field fence, and kept his hands back to single up the middle – both producing RBI in an eventual come from behind win. 9/20 – Young right hander with clean arm action and the ability to generate velocity around 80 with ease. The ball leaves his hand very well, fastball was 78-80 and he spun a quality breaking ball in the low 70s. Also threw a change in the mid 70s that he was able to turn over for out pitch type depth. 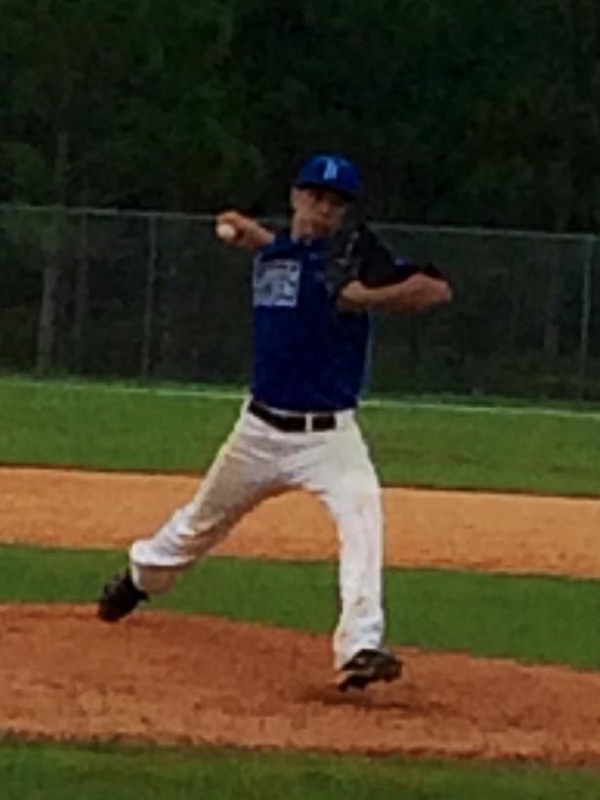 He is a talented athlete, and has good upside on the mound. This entry was posted in 2014 Under Armour Fall Classic, 2014 Under Armour Tournaments and tagged Alejandro Vazquez, Alex Martinez, Alex Vasquez, Angel Tiburcio, Anthony Alvarez, Anthony Gutierrez, Anthony Munoz, Austin Markmann, Brandon Boyle, Brendan Brundage, Bryce Hutchinson, Bryce Van Horn, Chad Tworek, Chris Busch, Chris Cata, Chris Demayo, Damian Serralta, David Carnicella, David Martinez, Emmanuel Bejerano, Frankie Bartow, George Curbelo, George Rivera, Gray McCurry, Jack Layrisson, Jacob Wander, Jason Aponte, Jeffrey Fripp, Jesse Peters, Jesus Pineda, Joey Fernandez, Jorge Arenas, Justin Lara, Justin Marcano, Keilin Washington, Kenneth Moreno-Costa, Lewis Romero, Liam Lyons, Luis Besteiro, Matt Garmendia, Matt Mosel, Matt Quicuti, Michael Harkcom, Michael Malinchak, Michael Sanchez, Mike Rodriguez, Nick Wilder, Owen Vonesslinger, Ozzie Millet, Perry Wilson, Richard Medina, Rigsby Mosley, Robert Valdez, Ruari Murphy, Ryan Wimbush, Sam Allen, Sean Williams, Sebastian Martinez, Tim Meyers, Tommy Romero, Tyler Gusow, Xavier Edwards, Yasser Santana, Zach Mather, Zachary Burch on September 12, 2014 by Team One Baseball.